The last thing you want to do is to be caught unprepared with the hot summer weather. It’s always good that you stay on top of the game by having our recommend fans. Cooling fans have been around for years. They come in different shapes, size and power outputs. Often, they are not expensive units to buy and run. But with the many sellers claiming that they have the best fans, it can be overwhelming to decide which cooling fan is the best for you. 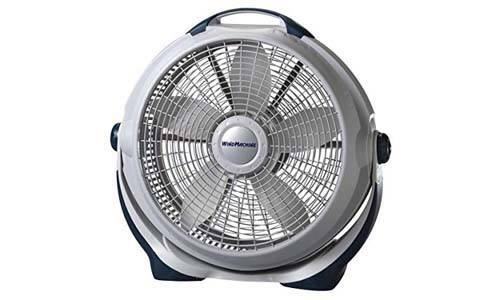 If you are on the search of a cooling fan, here are the top ten best in the market. Are you from a hot or dry climate? 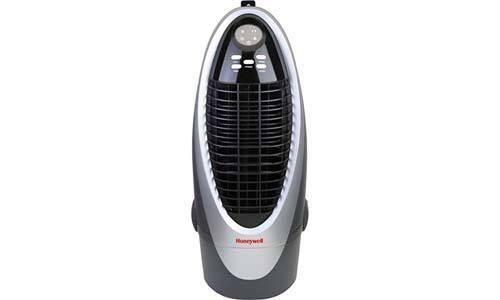 Then get to enjoy unlimited breeze from the Honeywell Indoor Portable Evaporative cooling fan. It’s also ideal for areas with a humidity of more than 60%. 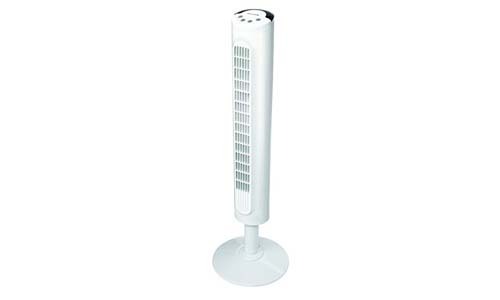 Being a portable cooling fan, you can carry it with you from one room to another. It consumes little power and features a sleek design. It also reduces high temperatures via water evaporation. If you are on the hunt for a cooling fan with extra features, then the BedJet V2 is perfect for you. 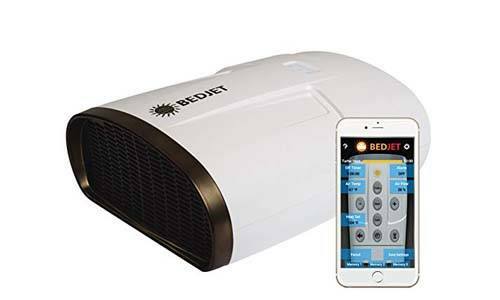 The BedJet is an ideal cooling fan that was designed to provide you with a cooling breeze when you are in bed. It features state of the art tech that instantly cools body heat and moisture from your bed. Moreover, it comes with a wireless remote controller and a free Bluetooth app. 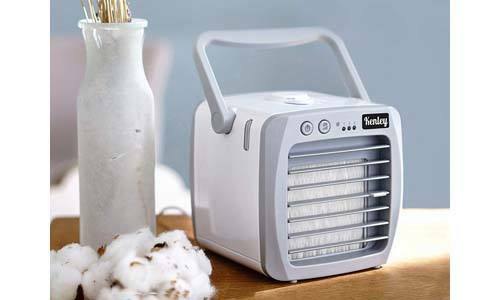 This cooling fan is for those who have little storage space in their rooms. 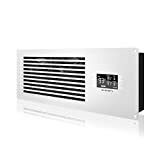 Despite having a small design, the Honeywell HYF290B is quite powerful and will keep your room cool whenever you want. It has an eight-speed touch button control, and it’s quiet. Thus, it won’t interfere with your sleep. It’s a well-built fan that will keep your room temperatures cool. Having three high-performance speeds, the Lasko 3300 is perfect for the bedroom, living room or even the study. It’s a standard sized fan, but it’s powerful. It features five blades and a built-in carrier that makes it portable. It’s ready for use after purchase. No assembling is required. 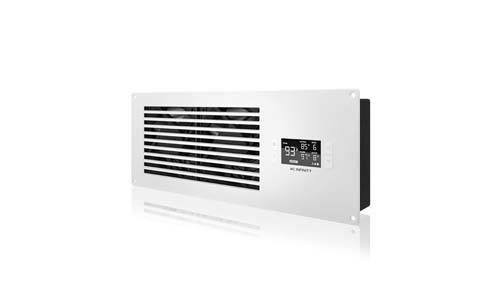 The AC Infinity is a high airflow fan system that is built to keep your rooms cool. 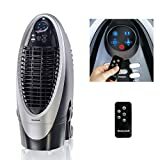 It features all the recent innovations that include a programmable thermostat which regulates the speed of airflow and other things. The 16-inch system is compact and looks modest when fitted in a room. Do you fancy small and powerful cooling fans? Then the Honeywell HYF023W is what you are looking for. It resembles a tower which entails electronic controls with LED displays. It has three speeds and has a tolerable sound level. Meaning that when you turn it on, the noise won’t be an interference. 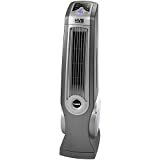 What makes the Lasko 4930 better than other cooling fans is that it comes with a remote control. Thus, you will get to always enjoy a cool atmosphere with the highest level of convenience. 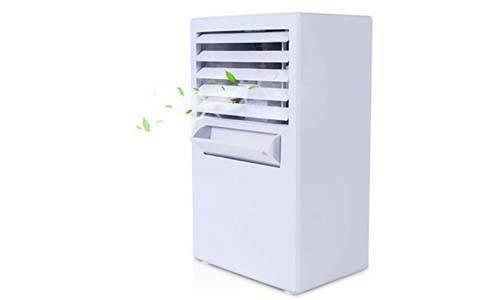 Similar to other cooling fans for rooms, it has three speeds and thanks to the widespread oscillation, you can direct airflow. You can set how long it needs to run with the aid of the built-in timer. The technology used in the Vshow is impressive. 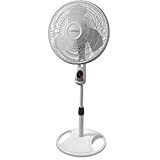 All you have to do is add water and ice to the tank then the fan will blow out to the cooling wind in your room. The tank is big enough, and when full, it can provide 3 to 6 hours of cooling breeze. It’s also quiet and consumes low energy. This fan from Lasko is 16 inches long and can be adjusted as per your preference. It’s quiet, energy efficient and the stand makes it ideal for any room in your house. 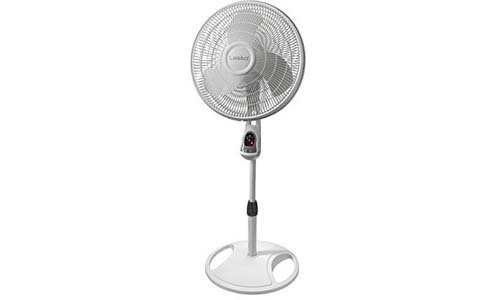 You can also tilt the head of the fan backward and direct the cooling air. Thanks to the wide oscillation, the Lasko 1646 can blow air from side to side. The Kenley was designed for personal use, and it’s why it features a handle for portability. It’s ideal for the bedroom or office desk. 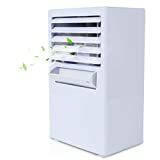 It’s also lightweight and has a water filter which does a marvelous job in purifying the air. The introduction of new technologies and additional features have made it a little bit tricky for homeowners to choose the best type of cooling fans. Here are some of the things you should consider before you pay for that particular fan. A big fan requires a lot of space. If you do not have enough space, always go for a smaller fan which can properly fit. Before you even go shopping for a cooling fan, determine the size of your rooms first. To have the accurate size, you should measure the room. An excellent cooling fan is the one that does not give the user a hard time operating it. It should have simple and easy to operate controls. It should also come with additional features like a remote control that will enable users to operate it at their convenience. Safety should be a priority when purchasing a cooling fan. You should not jeopardize the safety of you and your loved ones. Many people like bladeless fans because they don’t pose any risk to the children or the pets. However, if you are going to buy a traditional fan, ensure that the blades are enclosed behind a safety grille. 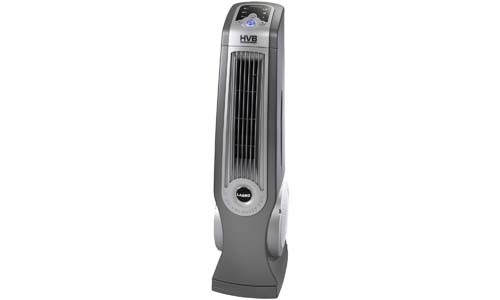 Larger fans are best for larger rooms because they provide sufficient cooling. But for a cubicle, a table fan will do. Knowing the room size helps you determine the type and size of the fan. 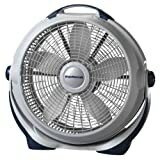 It will be a waste of money and energy to purchase a large fan to be used in a smaller room. Fans produce some background noise when they are working. But too much noise can be a nuisance. For homes with cellars next to the room, a ducted or spit system will be the best choice since it lets users control the noise. All you need to do is place the louder, hot exhaust emitting part of the fan in a remote location. Fans may not be that expensive, but no one wants to waste their money buying a cooling unit that will only last for a short time or will not meet their needs. For this reason, always consider the above factors when shopping for a cooling fan. And remember to ask about the warranty before paying for it. The above fans are some of the best in the market, and we suggest that you give any of them a try.